There’s no need to choose between good looks and function when it’s so easy to enjoy both. 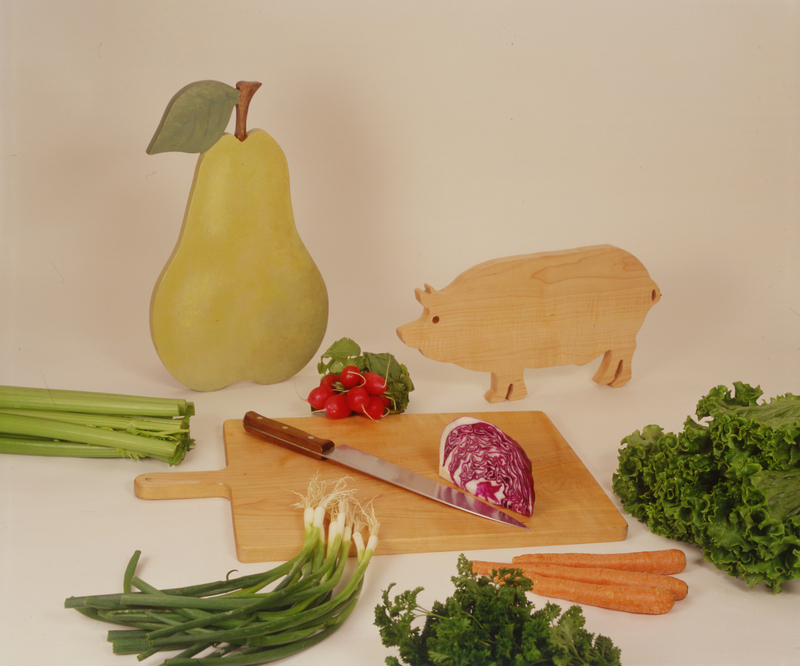 Our two sets of plans give you full-size patterns for 26 different cutting boards. Put some of your favorites to work in your own kitchen for chopping and serving. But it’s a great idea to make a few spares so that you’ll always have a last-minute gift on hand. The instructions cover lumber selection, production tips and finishing suggestions. This project will clear out your scrap bin and put the lumber to good use. The Decorative Board plan is a selection of 16 patterns: two sizes for each of eight different designs: Pear, Apple, Steer, Fish, Pig, Mushroom, Wine Bottle, and Strawberry. These all look great with a clear finish, but we even included simple painting suggestions for one side of the board. The Paddle plan begins with the traditional design that your Grandmother used in six different sizes ranging from 7 x 13” to the giant 12 x 20”. In addition, you get plans for two modern designs, each in two different sizes.